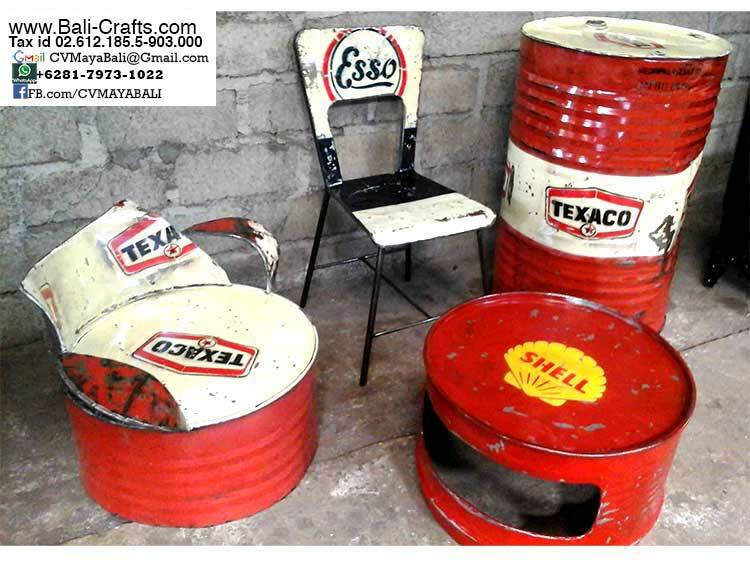 Metal furniture made of recycled oil drums or barrels. Various furniture including chairs, bench, tables and even drawers. 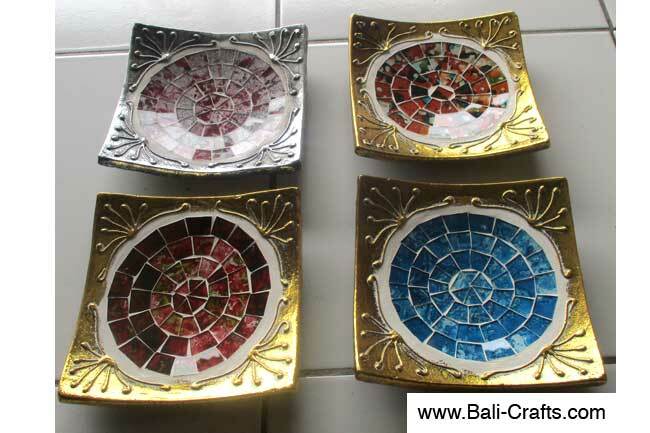 All made of reuse oil drums. 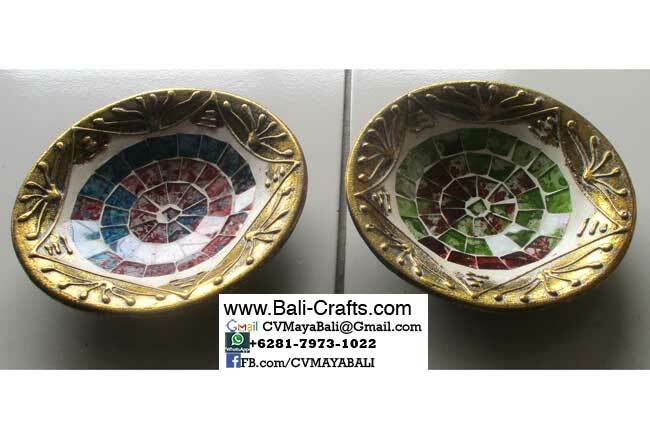 Handmade in Bali Indonesia by skill craftsmen. 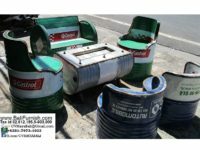 If you like rustic style home decorations or furniture, these recycled oil drum furniture is for you. Please browse our collection of repurposed metal drums and see wide range of furniture and home decors. 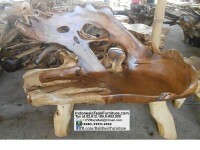 Teak Root Furniture from Indonesia made of teak root wood. 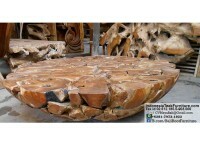 We have here various kind of furniture which made of a very strong teak wood. Suitable for outdoor garden and patio. Beautiful wooden texture. You can see here big chairs made of the root wood with the tree trunk. 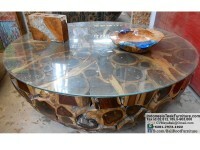 Some large coffee tables with glass. This is big table. We can ship to you with or without the glass. 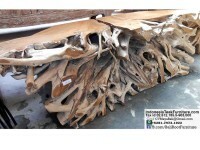 Other than teak root coffee table, we include here one of our best seller, the teak root console table which made of sliced teak root. The inner side of the teak wood is treated with special finishing, we have some different kind of finishing included black burn, silver, gold and gray. 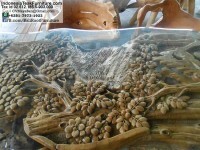 Very popular and look high quality. Available in various sizes. 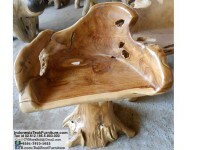 We have here the classic teak root bench and big chairs which is always a good seller year round. 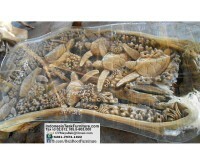 Very popular as outdoor garden bench, as seen in many hotels or resorts, parks, restaurants or cafe. 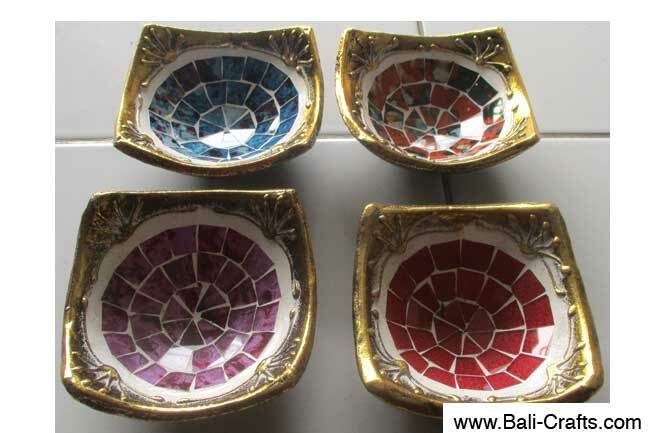 We sell many to furniture dealers and wholesalers around the world. 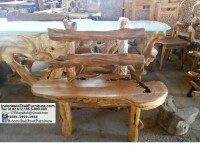 Everybody need this teak bench and chairs. Good quality and strong. Suitable for garden or patio. 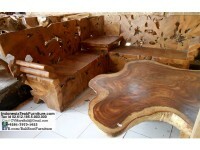 Please don’t forget to view our photo gallery of teak wood furniture and crafts factory. 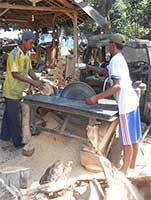 Browse photos of teak wood craftsmen at work producing teak wood home accessories for export. Big wood table with live edge or natural curve. 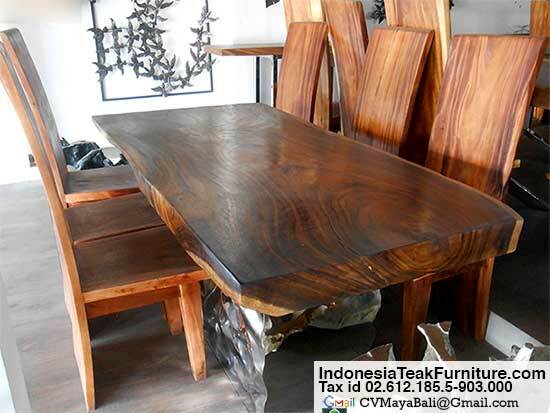 Suar wood dining table from Bali Indonesia. 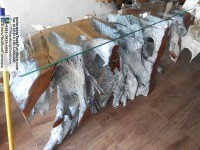 This is big wood slab with stainless steel base. Suitable for your dining room. 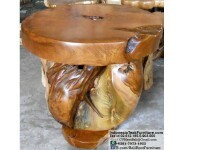 Solid wood furniture with beautiful texture of the wood. Metal and solid wood combined to create exotic looking furniture which suitable to use at your kitchen or patio. We care about rain forest. 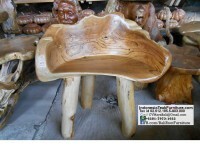 None of our suar wood furniture made of wood taken from rain forest. 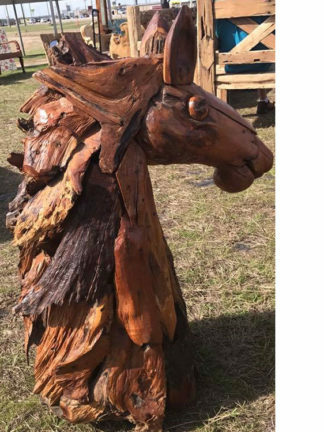 Our suar wood furniture has strong natural look, made of fast growing suar wood from suar tree which harvested from waste land field, not from rain forest. 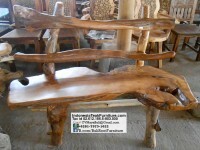 The more demand for this kind of wooden furniture, encourage people to plant more suar tree as cash crop.